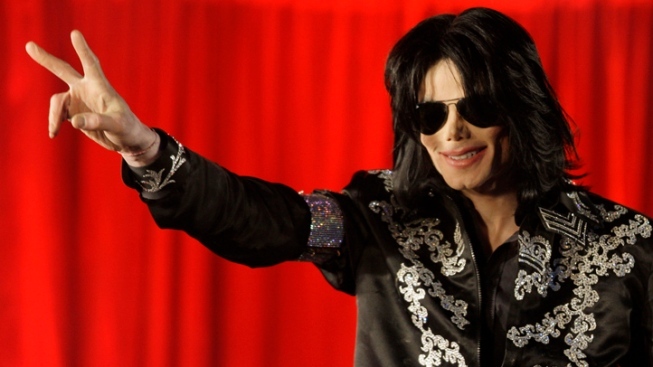 Now you can own a piece of the King of Pop. The King of Pop's regal threads are going on tour. Michael Jackson's glittery gloves, spangled jackets, stage-worn costumes and personal fashion effects are going on a world tour. Celebrity auctioneer Darren Julien says clothing created by Jackson's longtime costume designers will be exhibited in South America, Europe and Asia before being sold to the highest bidder in December. The exhibit opens May 18 at the Museo de la Moda in Santiago, Chile. It features items such as Jackson's Captain EO shirt, the black spandex outfit from his "Scream" video and the breakaway suit he wore during his BAD tour in the late 1980s. The items will be sold by Julien's Auction on December 2, with a portion of the proceeds benefiting Guide Dogs of America and Nathan Adelson Hospice in Las Vegas.